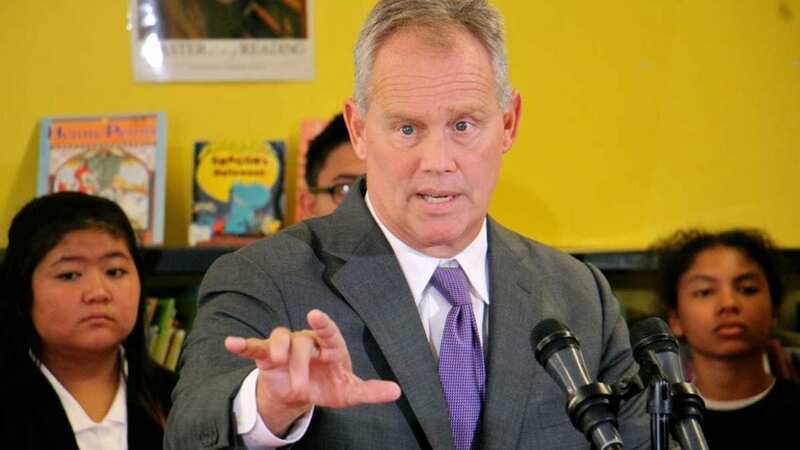 House Speaker Mike Turzai is arguing the state Supreme Court doesn't have the authority to declare congressional maps unconstitutional--gerrymandered or not. HARRISBURG, PA (WSKG) – Republicans are attempting to circumvent the Pennsylvania Supreme Court’s decision to strike down the state’s congressional maps as an unconstitutional partisan gerrymander in favor of Republicans. Leaders of the state House and Senate–Senate President Pro Tempore Joe Scarnati and House Speaker Mike Turzai– have filed an appeal with the US Supreme Court to halt implementation of the replacement congressional map the state court issued this week. This is the third time in recent months they’ve made such an appeal in a gerrymandering case. They first tried to stay a similar federal court case, but that effort was denied. The court subsequently upheld the map as partisan, but constitutional. In the earlier weeks of the current state Supreme Court case, Republicans filed for a stay on the grounds the legislature couldn’t agree on new congressional maps within the state court’s tight timeline. That application was denied by the US Supreme Court without explanation. But Turzai said now that the state court has issued its replacement map, he thinks there’s a better case. The court had initially allowed lawmakers a few weeks to redraw the maps. But they missed that deadline, with many complaining the justices had given them an unworkable timeline. As per their original decision, the justices then issued new maps on their own, drawn by Stanford Law Professor Nathan Persily, a redistricting expert who has previous experience redrawing maps in other states. Republicans acknowledge the now-unconstitutional map–drawn in 2011–was gerrymandered to favor their own party. But they contend that doesn’t matter, because redistricting is a fundamentally political process. The key argument in their stay application to the US Supreme Court is that the state court can’t strike down any congressional map–no matter what it looks like–because the Pennsylvania Constitution doesn’t provide any criteria for it to do so. “The Pennsylvania Supreme Court legislated criteria the Pennsylvania General Assembly must satisfy when drawing a congressional districting plan, such as contiguity, compactness, equal population, limiting subdivision splits, and now proportional representation of political parties,” they wrote. The plaintiffs also included arguments that the court’s actions violate the US Constitution’s Elections Clause, which gives state legislatures authority over drawing congressional maps. And they allege the court violated its own standards of compactness and contiguity, and say it gave elected officials an unworkable timeline to fix the maps. State Democrats and a number of Republicans have differed with the case that Turzai and Scarnati are making. Senate GOP Leader Jake Corman, for instance, had opposed the short timeline the justices imposed for the legislature to redraw the map, and supported lobbying the state court for an extension so that lawmakers could work together to compromise on a new one. But he didn’t question the court’s right to rule the old map unconstitutional. The same morning that Turzai announced the filing of the stay application, House GOP Spokesman Steve Miskin posted a tweet that also seemed to undercut the argument that state courts cannot declare congressional maps unconstitutional.